If wishes were fishes, I would do a lot more wishing. BOL! OMD! 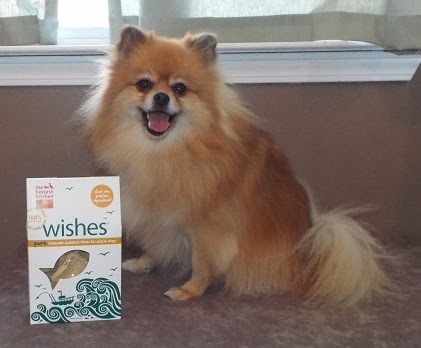 Chewy.com has wishes that are fishes! They are Honest Kitchen Wishes treats for cats & dogs. These delicious Wishes are made of hook & line caught Icelandic Haddock. Haddock=fish! Honest Kitchen Wishes are pure fish, with nothing added. There is only one ingredient: Dehydrated Haddock. Haddock is a clean white fish that is low in fat. Low fat is pawsome when your human counts your calories. 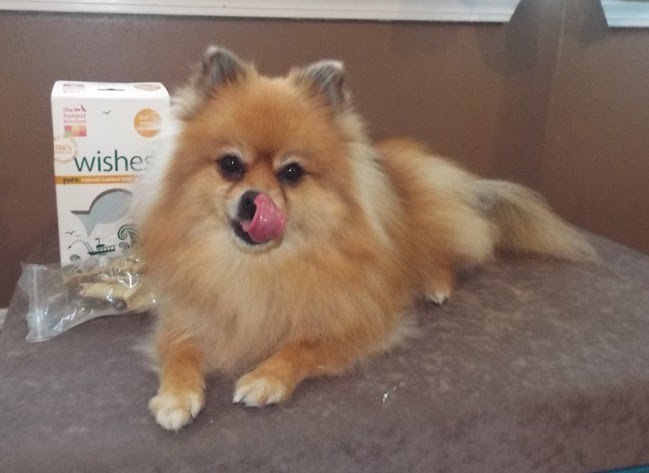 Mom let me eat a whole Wishes treat for the pictures! Yum! Mom, may I have another Wishes treat pawlease? Thank you Chewy.com for the delicious Wishes! Review Disclosure: I did not receive any monetary compensation for this review. I was given a free product to review. The opinions in this review are my own and not influenced by any outsider. I belong to the Chewy.com blog review program.